Starting June things at Grosgrain are going to change. FOR THE BETTER, I promise;) For quite a while now I've had people emailing me for my patterns and I've struggled with grading and whatnot. So starting June I will be offering my ungraded patterns for free! Then later I will be offering my graded patterns for a small fee. I will also be offering a tutorial on how to grade patterns (which isn't rocket science) if you want to try your hand at grading them yourself. As for children's patterns, grading is much easier and mistakes are often forgivable since their clothes are far less fitted. Also another big change will be my domain name. 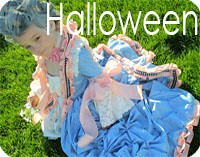 In May, I will be changing from grosgrainfabulous.blogspot.com to just grosgrainfabulous.com. This shouldn't mean much to those of you already following me. The blogspot page will automatically redirect you to the new domain. But it's still a big move for me and I'm very nervous about it. The last big change will be the layout of the blog. A few readers have sent emails about having to click through to my posts that aren't on my front page. The new layout will have a few buttons for the posts that don't land on the front page. It will also have some new features that I hope you will find useful. I'll be keeping those a secret until the big unveiling. Finally! Leading up to the change I will be having a month of guests from around the blogosphere offering their own free patterns to Grosgrain readers! 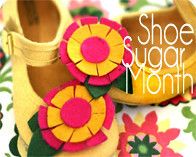 I already have 23 bloggers lined up and they are some of the best seamstresses and crafters in the blogosphere. (An official roster will be posted later this month) The button is below. How AWESOME! I'm so excited for you and for me too! I'm excited for all the changes! Lots of great changes! I'm so excited for free pattern month! Very, very cool! thank you! That *is* exciting! I'm looking forward to learning from your intense creativitiy! Good luck with all the work; no wonder you've been so busy! How awesome, you're the best Kathleen! This is great! I am glad you are going to offer up your ungraded patterns for free - as many of us are not afraid of doing adjustments to fit us perfectly...better than commercially graded patters do. I am more interested in your construction techniques, than the actual size of the pattern. This is amazing news! Your frocks are so impressive, and having a pattern might actually lead me to sew a dress for myself instead of just my kids! Thanks and good luck with the move. That's awesome news!! I will be looking forward to making your designs for myself. I'm sure your website is going to be beautiful. Congratulations on everything!! Hooray! I now have a reason to look forward to summer (as an adult, that is); June really can't come soon enough. Thanks for your generosity Kathleen! very excited for you!! 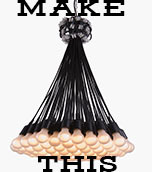 I've been eyeing that dress for a while and i have the perfect necklace to go with it! Click here to see it! OOOOH! I'm so excited. Good luck on getting through the changes! YEA! This is very exciting! I'm especially excited to learn how to grade patterns! Sorry to be a loser - what does it mean to have a graded pattern? I did not notice any "contact me" buttons up top so I will place my question here, sorry. Did you ask for or are still asking for other guest bloggers for patterns patterns to offer or did they volunteer? If so, I might have one you would be interested in. 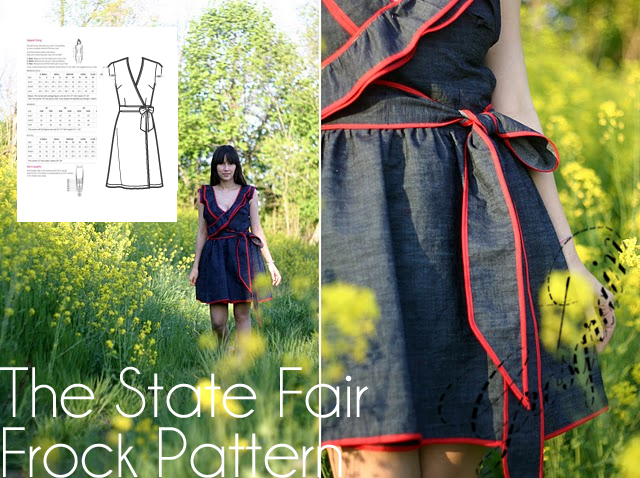 I love that state fair frock dress so much, I can hardly wait. Congrats on the upgrades and move, it will be fabulous I'm sure!! Patterns! I'm so excited! :D Your blog is so inspiring. 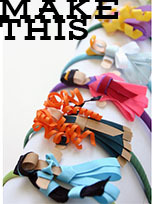 Now I can try my hand to sewing some of the projects you made! I don't know how I found your blog, 'cuz I'm not a sewer (or is it "sower", or is it "seamstress", because I'm pretty sure a "sewer" does not contain ANYTHING related to clothing) but, I love the inspiration pics that you put up, and I'm starting to hit the "favorite" button on my internet browser to save the posts with the awesome pictures for color inspiration. I also have no clue what it means to grade a pattern, but I used to teach high school Spanish and if grading patterns is like grading essays, well, then, you are providing an invaluable service to all the "sewers" out there. Keep up the good work and thanks for the beautiful inspiration! Woo hoo! Free patterns are awesome. I'm excited. Wow, you are one of the most talented and giving bloggers I know! I'm sure you'll gain even more followers with the fantastic changes you are implementing. For those not certain about what 'Grading' refers to, it's when you adjust a base pattern for different sizes. For instance: the multiple sizes available on one style on the same pattern paper has had a base pattern graded to allow different sizes so you only have to make one purchase. Hope that helps! Oh wow--these are BIG news!!! Congrats on all these exciting changes coming for Grosgrain. I am particularly excited about you offering patterns--how neat! Congratulations on the big step up. I read you everyday so I'm excited for you! 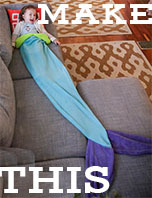 free pattern month??!!! OMG i'm so excited!! congratulations on the new domain and everything!! Oh thank you, that's amazing news and I'm very excited!! Congrats on owing your own domain name. @Marcie A.I think Sonia said it best but I'll just reiterate. Grading is basically sizing a base pattern up to a higher size or down to a lower size. I would like to be able to 'grade' my patterns in software rather than doing it by hand but the software I'm using is very difficult to master especially when you're teaching yourself. If it comes down to it, I can always grade by hand but I'd like to use the program and all it's professional symbols and easy measurements. thats a great news katherine! im so excited that you are offering your lovely dress pattern - i would love to try it out! Wow - this is wonderful news! You are such a generous, creative, fantastic lady to share all that you do with us. You inspire me. Wow! This is great!! I hope you include the Central Park Frock, my favorite!! Finally found out how to get your posts delivered in my email. I wish you had a up front button on your blog for that ;-) hint, hint. Hint taken;) It's actually on the list! Great news! Hope all the changes don't require too much work on your part, as I know that can be frustrating. Thank you for all the inspiration and beautiful ideas you provide. They are really appreciated! Yes, there will be more organized buttons for the posts that don't show up on the front page. 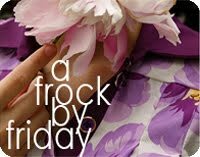 As for the Frock by Fridays. There is a right sidebar button for that. It's under 'video tutorials' and above 'you make it'. It's the one with the purple dress. Aw fun, changes are fun. 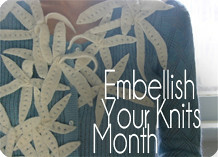 I'm particularly excited about the month of free patterns. What an AWESOME idea. Brilliant idea. And incredibly thoughtful too! Good luck with it all. Its always more work than you think it is... but good fun too. I'll be watching your space for sure!